If you like Saving Yello, please rate it 5 stars on iTunes after every update! - Are those levels too hard? Don’t worry – we’ve improved the “Retry Shots” feature even further! - No penalty for “Retry Shots” – you can now earn all stars in a level when you have used the “Retry Shots” feature! Published: 2013-05-23, by Ana Gracia. Mathilda owns Yello, a little goldfish, and loves to play with him. Unfortunately, she always takes him out of his bowl so your objective in Saving Yello is put him back there and make sure he's safe and sound. How to play? Pull the tail as long as you need and release it in order to launch the fish, trying to avoid the obstacles so he doesn't hurt himself in the way. 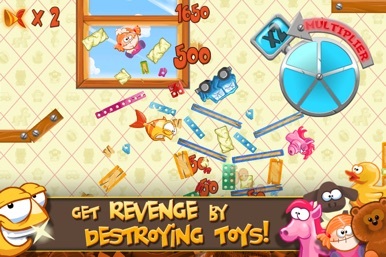 As the levels advance, you will need to accomplish more tasks like destroying toys so as to get more points but you will also be able to use the undo button once per level and make things easier. The graphics, as other games from the same developer, are outstanding. 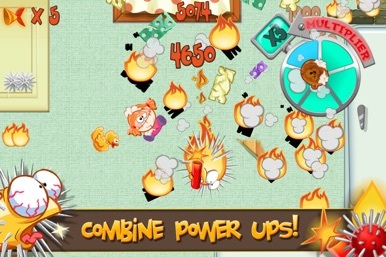 The physics in this particular app are also excellent, which makes the game extremely fun and recommended for everyone. 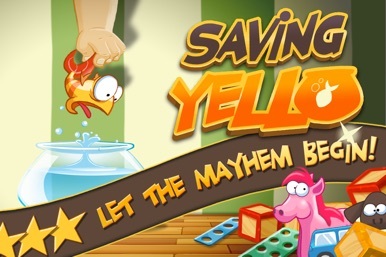 dreamfab is the developer of Saving Yello, a highly enjoyable physics game with power-ups and a three-star rating. Not original at all, but who cares when it's this good. 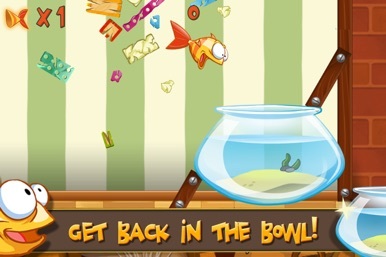 Save Yello from his out-of-bowl terror! Yello, a helpless goldfish at the mercy of his 7-year-old owner, Mathilda who loves playing with him outside his beloved bowl. You must fling Yello back to safety. Get even and destroy Mathilda’s toys along the way! Help Yello navigate through the waters and stay safe. 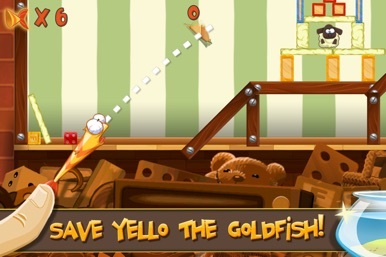 Chasing Yello is another adventure featuring Yello, the goldfish belonging to Mathilda. This time, the girl has let Yello free in the creek and you need to help him navigate the dangerous waters and escape the environment. How to control Yello? Tilt the phone to collect the stars, jump by swipin….